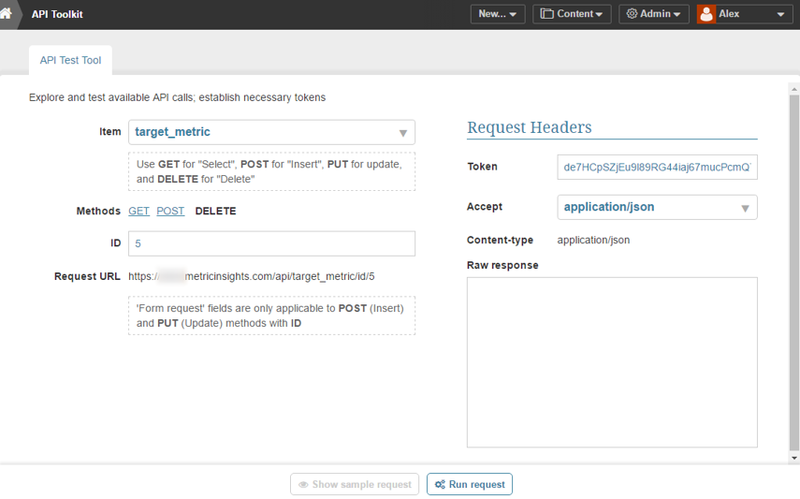 This article provides sample API calls to manipulate Targets. Verify that you have API access OR get token call via curl since all API calls require a token. NOTE: Target Name and combination of Target Type, Measure, Dimension and Measurement Interval must be unique across the system. In this example an association between a Target 'Daily Bookings Forecast' (id 80) and a metric 'Daily Arrivals' (id 1396) has been established. In the Raw Response screen the id of this association is given ("id": "97").